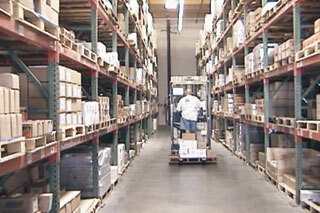 Before you can have effective inventory management, you need to get control of your warehouse. ADaM is a multi-warehouse/branch system. With ADaM Inventory Control you can view and preview critical warehouse inventories with real-time interface to other ADaM systems. You will be able to manage: multiple bin locations, usage rates, EOQ ordering, information calculated for each warehouse, Vendor/Sourcing information, Physical inventory and cycle counting all available at a glance. Then, enhance your capabilities with barcodes and wireless devices. One of the most dramatic improvements has been our automated and paperless warehouse. Orders are released to wireless forklift terminals and picked within minutes with barcode scanners. Customer invoices are faxed or emailed. The cost savings and accuracy improvement are tremendous and our customers are served better.